We are a California-based band whose goal is to pay tribute to the "omnipotent Grateful Dead" in the form of lively recreations of their timeless music. HEY NOW! 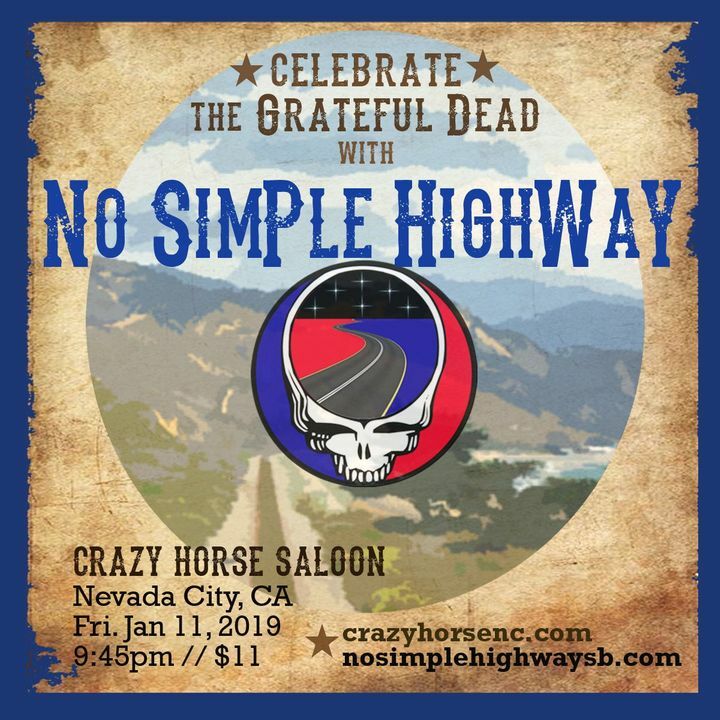 We're all VERY excited to be asked back to the fabulous Crazy Horse Saloon & Grill in Nevada City on Friday, January 11th. We can't wait to see your smiling faces out there shakin' them bones! Bring an extra pair of dancin' shoes, you just might need them! See you then! Track to know when No Simple Highway is playing near you.